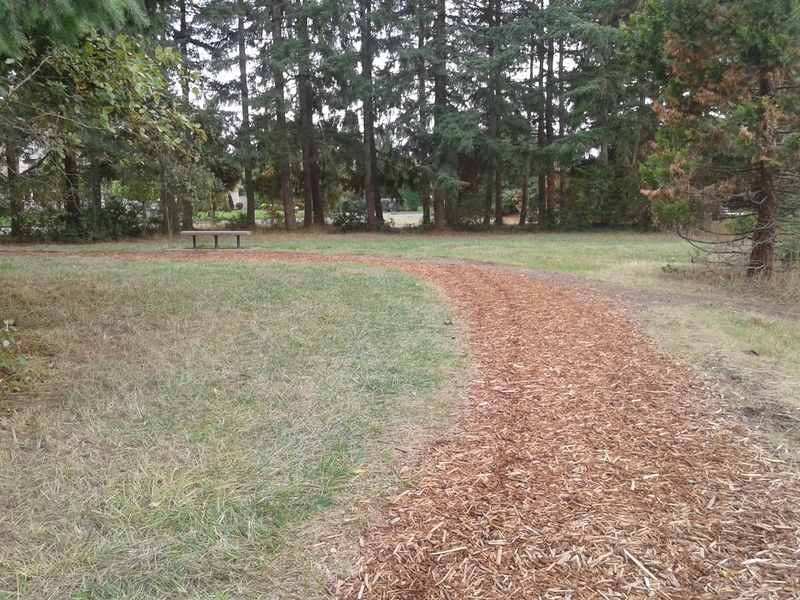 Gilham Park – Park Wood Dr. and Lakeview Dr.
Gilham Park has got it’s groove back! And by that I mean that a few things that were missing are back. But I’ll get to that in a moment. 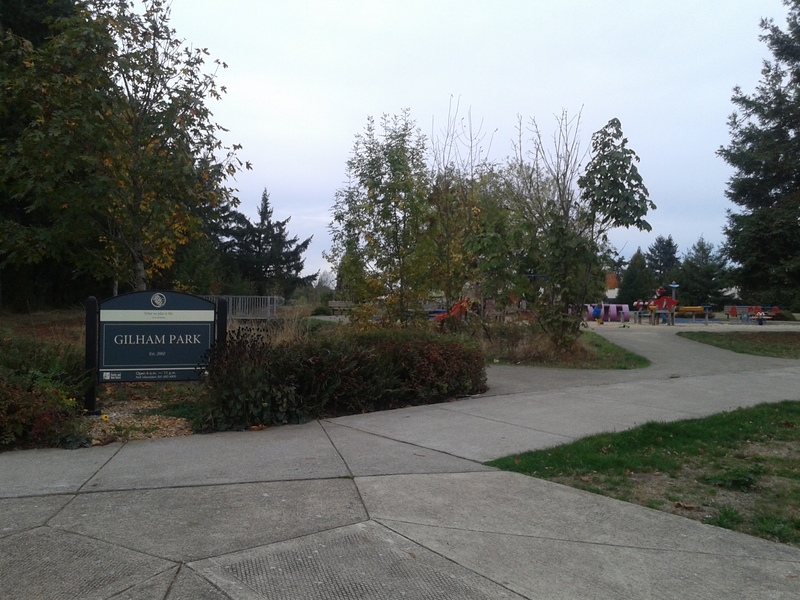 Just a word of caution when heading to this park: when I type “Gilham park Eugene” into google maps, the first thing that comes up is the nearby “Gilham Elementary School Soccer Field.” Thanks Google! Not quite. In fact, I think a few friends have gotten lost thanks to that, so here is the disclaimer right away: Don’t go to Gilham Elementary School! 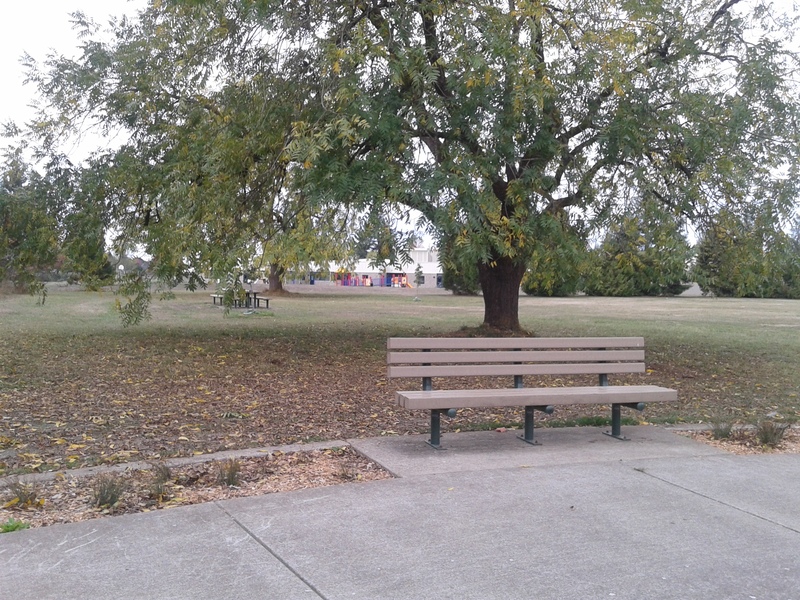 This park is nearby, and in fact, you can see the school across the field, but it’s not the same place. Also, guess what? 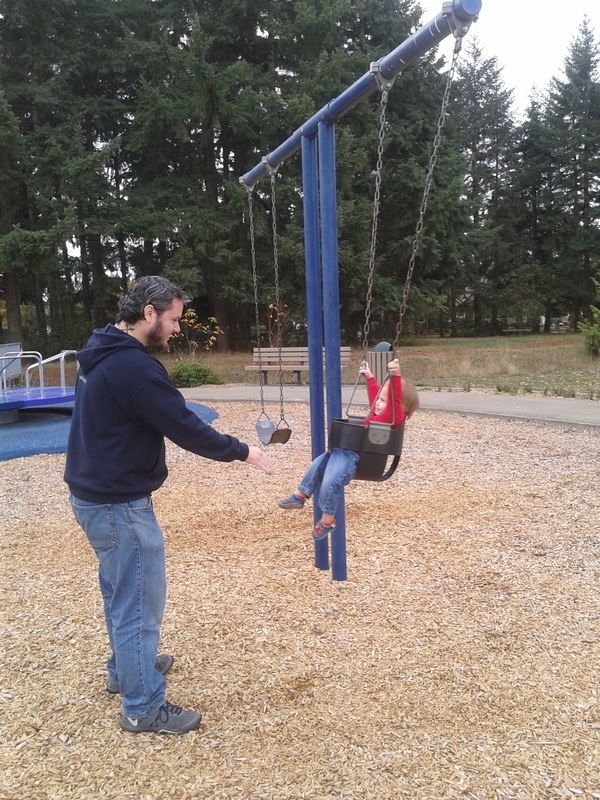 This park is not actually on Gilham Road. Haha, good joke Eugene! I’m always a fan of parks named after the area they are in and not the road they are on so it seems like they should be on the road that there name is and NO THAT’S NOT CONFUSING At ALL. So, check out the link above or just go down Lakeview Dr. to Park Wood Dr. You will know you are in the right place if you see tall pine trees and very large houses. Like, super really nice big houses. So, it’s a nice neighborhood, I’ll just say that. 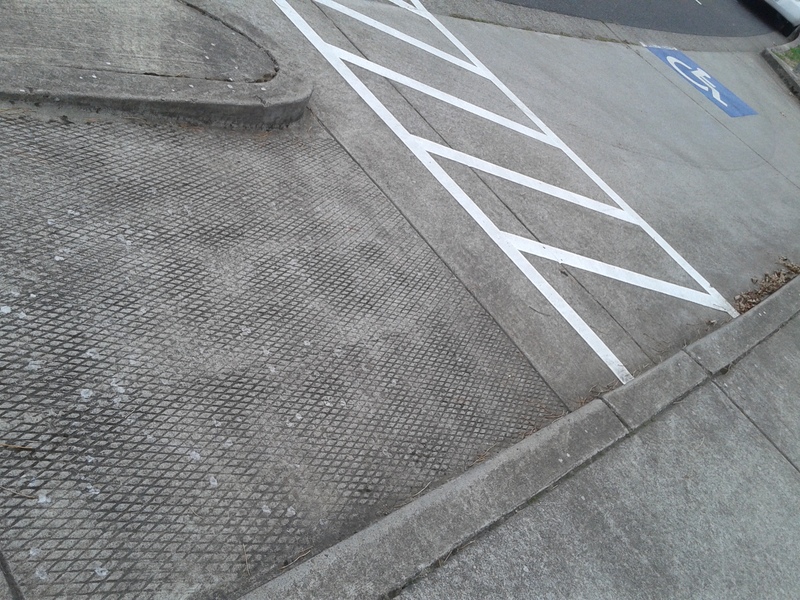 Wheel Chair Accessible parking spot and parking on a relatively quiet street. 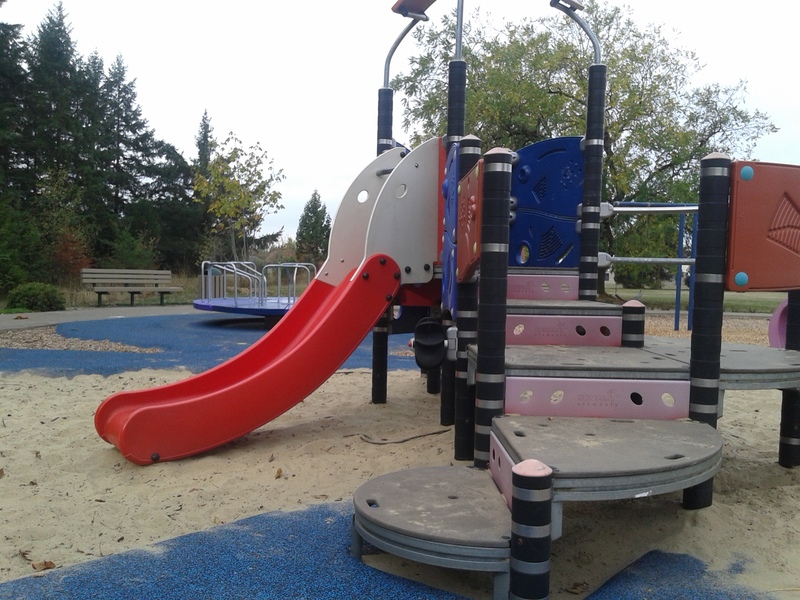 Gilham park has both sand and bark chips, with water play in the summer. There’s a bouncer back there too. 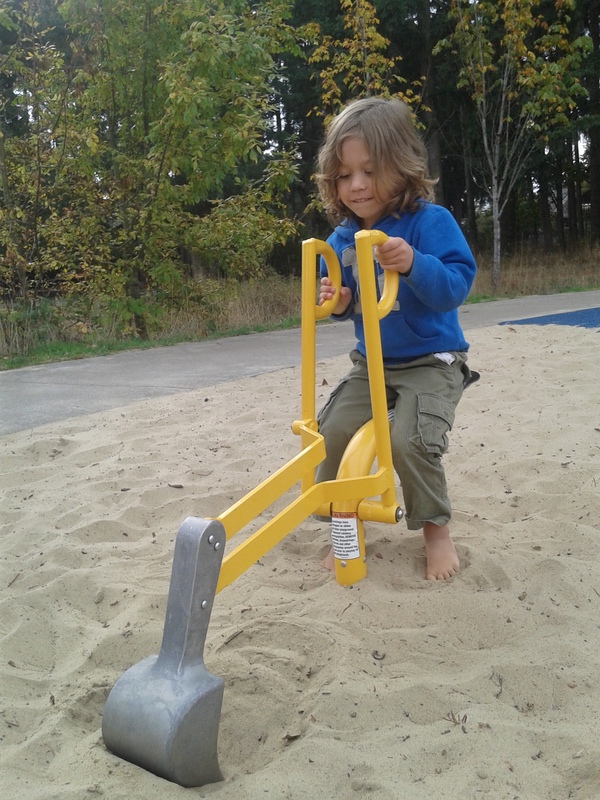 If you’re like my son, you will notice the excavator first thing. This was a nice little surprise for us because the excavator had been “out of order” for a very long time! I was afraid they would take it away because people might complain it’s too “dangerous.” Now it is back and actually less dangerous! 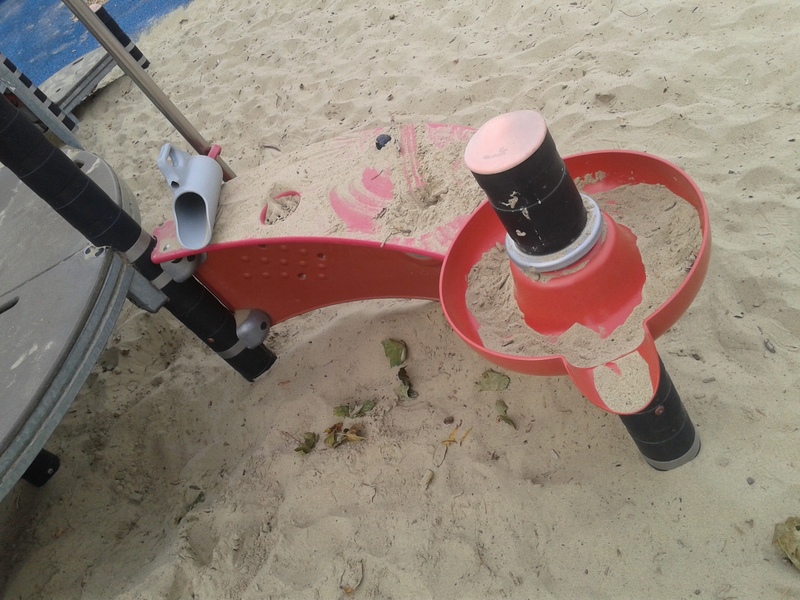 It’s closer to the ground, so lots of kids will be able to play on it without their parents worried that they will face-plant right into the metal construction tool. 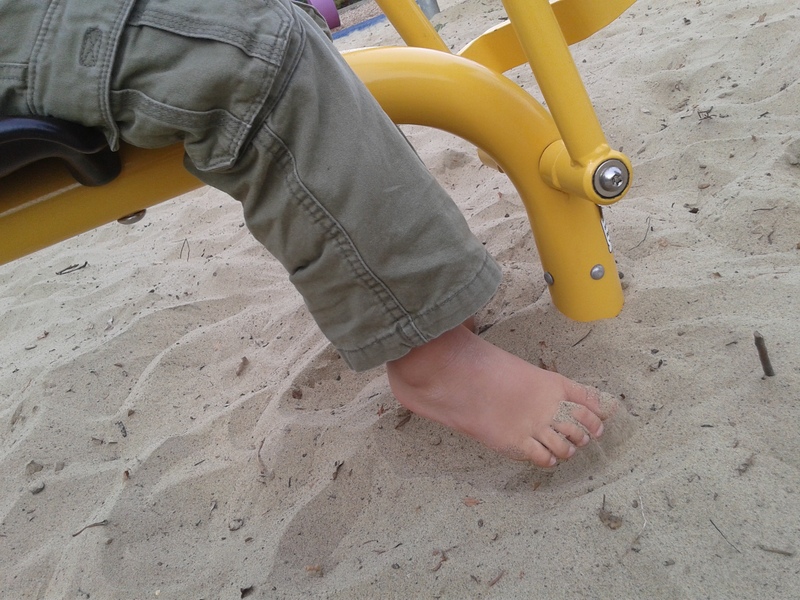 His feet can touch the ground! 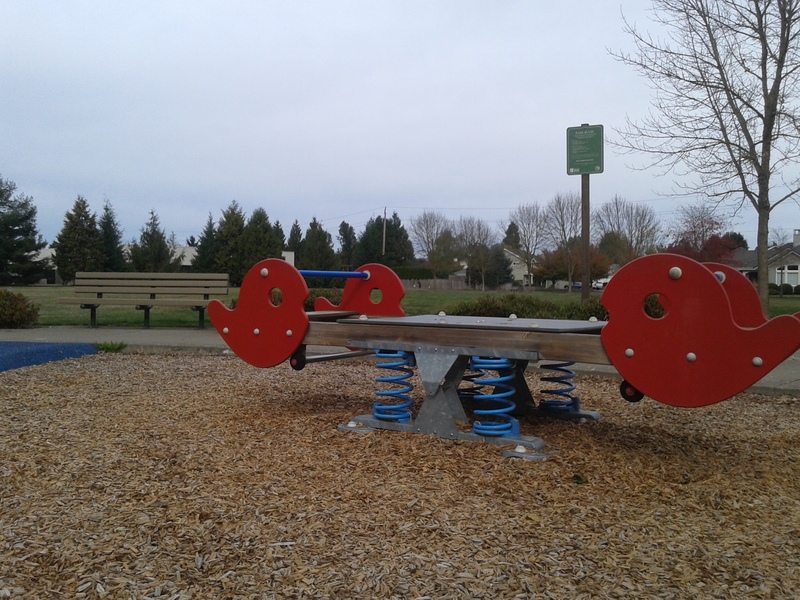 The other thing that has made a triumphant return is the Merry-Go-Round! This has been gone for a long time, maybe a year? I figured they’d be replacing it with some “safe” equipment made out of plastic. But, behold, it is back in all it’s fast, metal glory. 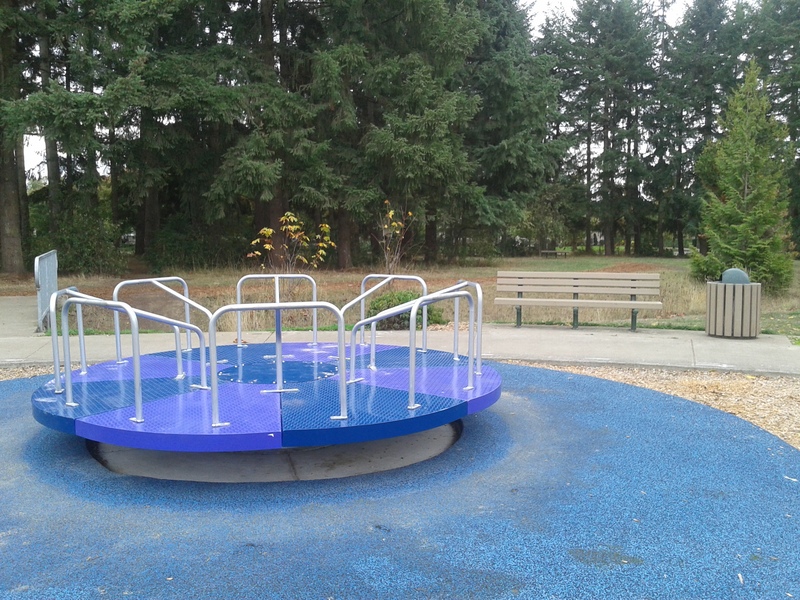 Around the Merry-Go-Round and winding through the park are paths with soft blue rubber. I really like how soft these are for little crawling babies and mama’s aching feet. A nice alternative to the bark and sand area. Behind the Merry-Go-Round is a bridge, that is very fun to run across, and some little paths in the trees. 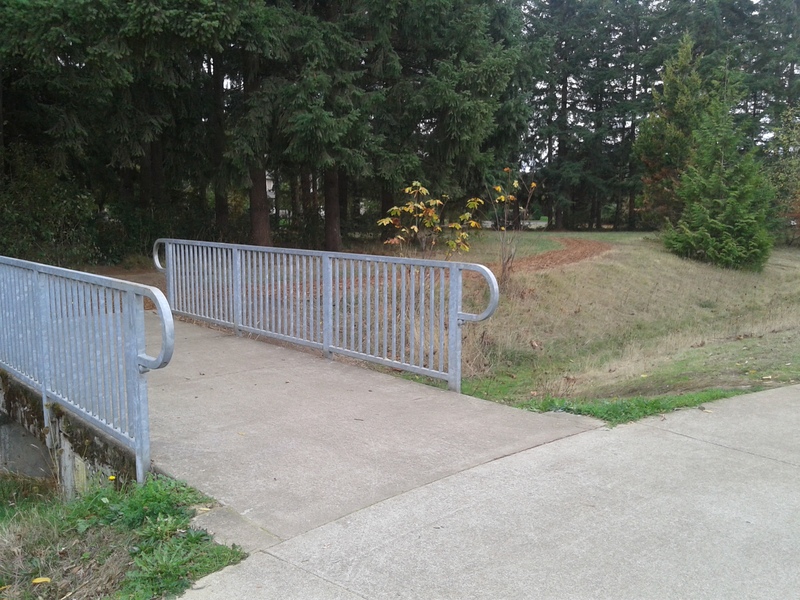 It’s not like you are very far from the street or park, but it is a pleasant little area. 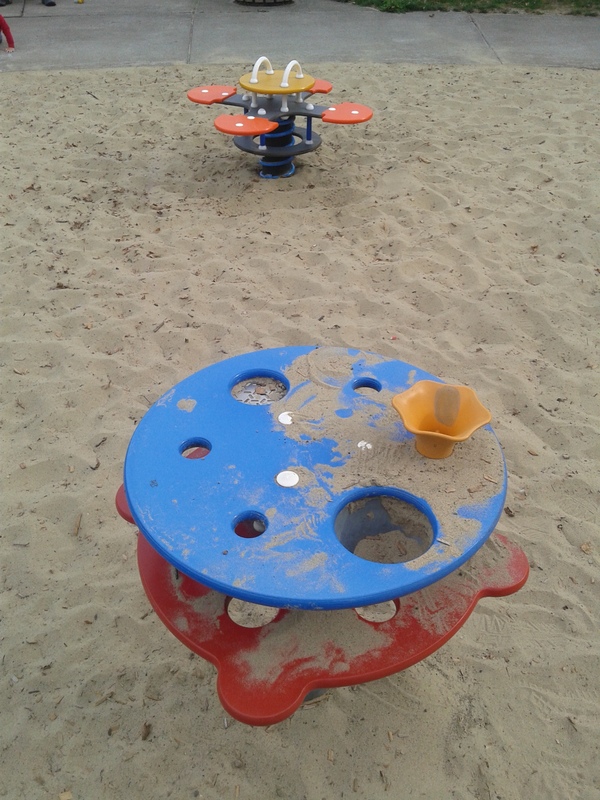 The play structure is one of the Kompany sets and it is also in the sandy area. This can make it a little slippery at times. 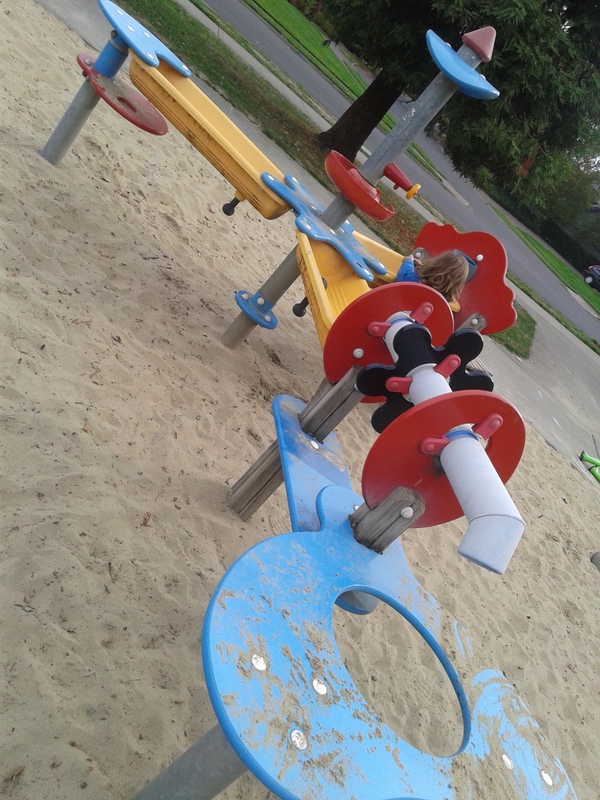 In the bark chip area is a baby and kid swing and a big bouncer. 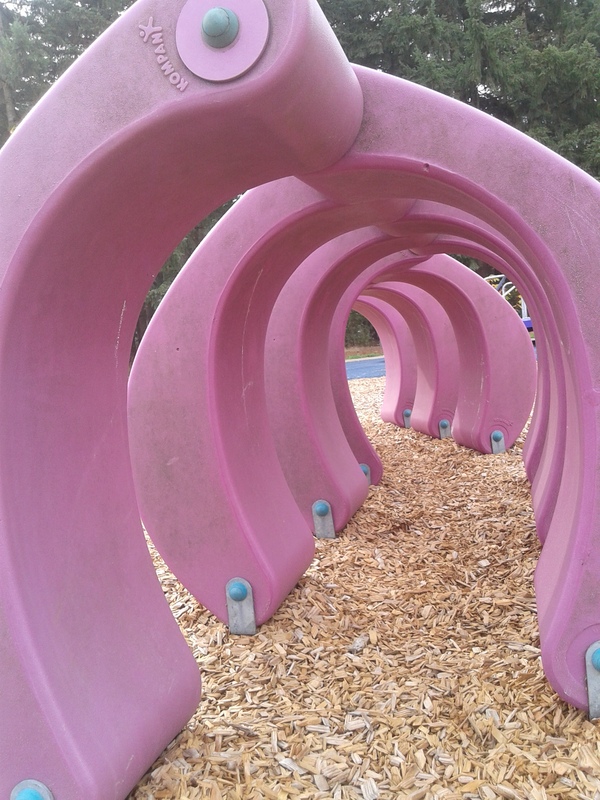 Also this odd tunnel thing. It kind of reminds me of a rib cage of dinosaur bones. There is a nice large field and the school beyond that. If you come on a school day, and the kids are at recess, this does make your little preschooler wish he could go play with them. In fact, I’m sure some little kids would be sad or even dart off to go join them, so keep that in mind if you have a runner. It’s back there and you can hear those kids having lots of fun! There’s also some nice picnic areas and trees in the field. 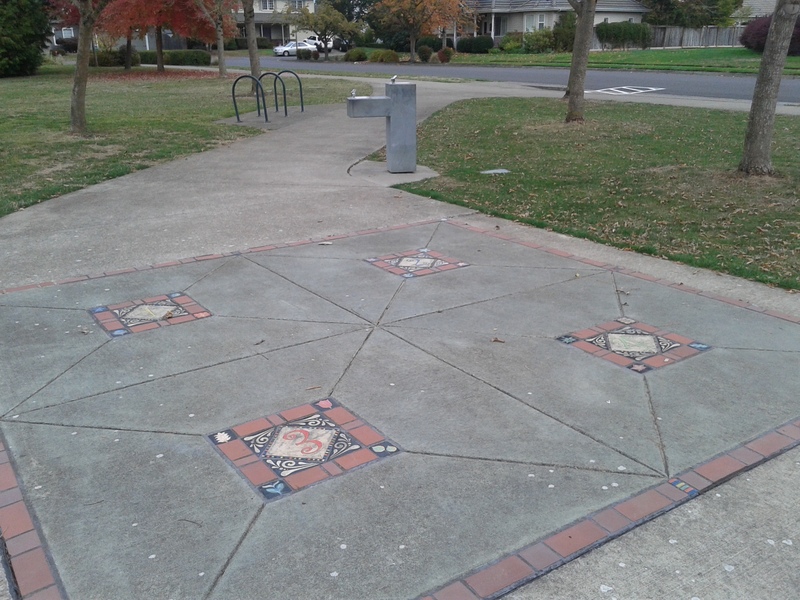 Here is something new I noticed: a mosaic four square court. Also, the water fountains and bike racks. No bathrooms here. 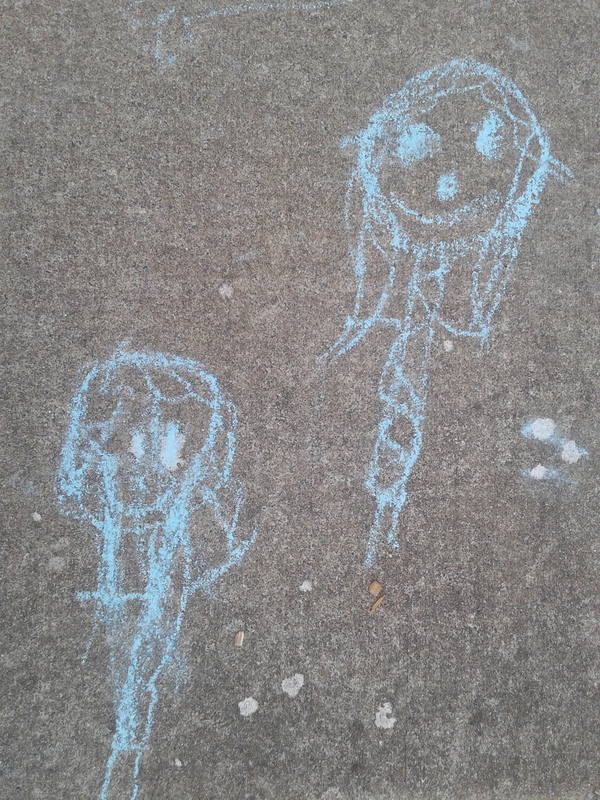 I leave you with some cute kid chalk art, just because.